“Economically, the poverty level exacerbated by high unemployment, low income levels, falling aggregate consumer demand, fallen purchasing power parity due to the weakening of the naira, increasing cost of petroleum products, persistent drop in electricity supply and constant power outages, decline in basic amenities and social services, and distortions in the economy should have sent early warning signs to the Nigerian authorities that we were highly susceptible to the danger of terror“. IT was on that fateful day in 2011 as I drove in the early morning traffic to work, the headline boldly read: Boko Haram promises bloodier attacks.” No one will take them seriously because their uprising of 2009 had been crushed after their leader was arrested and killed. While blogging that morning, I sent out the soft version of the headline I saw earlier and concluded my submission thus: ‘Idea wars are rather long wars.’ My colleagues didn’t understand and some asked what I meant. I did attempt to explain how ideologies can warp the human mind and specifically what religion as an idea, especially radicalization of religion, can do. Suddenly the breaking news flashed ‘the Nigeria Police Force Headquarters, Abuja has been attacked by a suicide bomber.’ Until then Boko Haram had not struck inside Abuja. Welcome to the world of the radical Islamist terrorists. 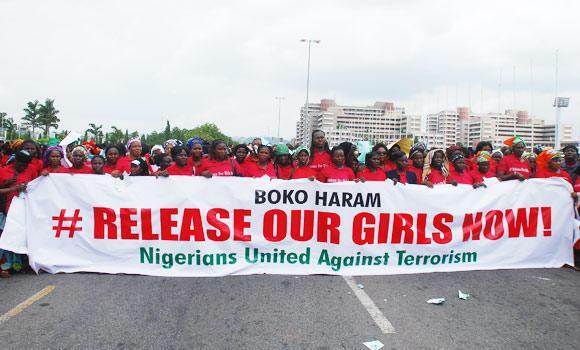 Boko Haram will go on to bomb churches, the UN building, telecommunication masts, villages, barracks and soft targets such as schools, mosques, motor parks, markets among others with huge attending costs to the lives of the people and the economy of the nation. Before 2009, very few people had heard of the sect: The Congregation of the People of Tradition for Proselytism and Jihad (Jama’atu Ahlis Sunna Lidda’awati Wal-Jihad) globally now known as Boko Haram, due to their criminalisation of Western education. Before their clash with security forces in Bauchi and Borno in 2009, little was said and known about them outside the North Eastern part of the country. On Christmas Day of 2009, a young Nigerian was overpowered while attempting to bomb a U.S. transatlantic flight. The underwear bomber as he became known put Nigeria on the global terrorism map. The U.S. added Nigeria on the global terror watch list and hell was let loose. Every one shouted that Nigerians are not terrorists and that the action of one young man cannot be used to qualify over 150 million other Nigerians. The argument was that Nigerians loved life so much. Only a few years back we were listed as a nation with the happiest people on planet earth; as such Nigerians cannot and will not indulge in suicide bombing missions. Many went ahead to point to the fact that he grew up and schooled in the UK where he met the Islamists who indoctrinated and radicalised him. No homegrown Nigerian will kill himself in suicide bombings. We as a nation have lived in denial many times before, and this time around, it will come to hunt us into the present and threaten our future. Post September 11, 2001 ought to prompt any proactive government to review its security framework: The people, security agencies and agents, geography and demographics, economics and financial activities, policies, historical trend, immigrants and foreign exposure. Looking at the delicate nature and highly volatile situation in the North which often snowballs into religious violence and the dangerous antecedents, the country ought to have taken a more pragmatic and multivariate approach to the war on terror after 9/11. A critical assessment of Intelligence and security reports would have shown that as the most populated Black Country on earth with one out of every four black persons on earth being a Nigerian, we would be exposed by sheer “numericity”. This same critical assessment would also have revealed our fault lines geographically as we share exposed and unsecured borders with Niger, Chad and Cameroon to the North. A closer look at these countries’ borders would have unraveled our exposure to the second degree to Mali, Libya, Sudan, Algeria and Mauritania which are high risks countries due to civil strives, rebel activities, hotbed of Islamic radicalism as the cases may be. Economically, the poverty level exacerbated by high unemployment, low income levels, falling aggregate consumer demand, fallen purchasing power parity due to the weakening of the naira, increasing cost of petroleum products, persistent drop in electricity supply and constant power outages, decline in basic amenities and social services, and distortions in the economy should have sent early warning signs to the Nigerian authorities that we were highly susceptible to the danger of terror. A highly exposed market of hungry unemployed youths in a region popular with the “Almajiri” system will be a very fertile ground for terrorist recruitments. An x-ray of political factors also would have revealed the failures of past Northern leaders in developing their region, preferring a rent seeking economy which encourages hand outs and subservience. This subservience can and did make it possible to hire fighters with a high degree of loyalty to the terror cause. In all these and with all these, we did nothing or at best very little because we lived in denial that Nigeria is not a terrorist country and Nigerians were not and could not be terrorists. We failed to do a simple short to medium term forecast on our likely situation given our dynamics. This is in an era of globalisation where the countries of the world are more interconnected than ever due to the convergence of revolution in information and global communication technology, migration, capital flow and tourism. Had we faced the truth irrespective of facts or not, we would have set in motion a process to dictate, minimise, prevent or exterminate terrorism if and when it did appear in our land. Yet we chose to play the ostrich by burying our heads in denials, though we had all our other parts exposed. We did little to train and prepare our military and security forces in unconventional and specialised warfare. We did nothing to invest in or acquire modern sophisticated weapons, security devices and gadgets that will aid in combating terror. We had almost a decade from 2001 to 2011 to invest in an anti-terror economy by sharing intelligence with other national and international intelligence services, stepping up surveillance, strengthening our poor borders, equipping our ports, pulling unemployed youths from the streets to gainful ventures, making access to education more affordable and available, tightening the noose around terrorism financing and building a network of community security or policing among others. When the hawk came down, we were not just caught napping but we were still not ready to quickly adjust our psyche and confront the sad reality. The blame games and conspiracy theories abound but I do not agree that the government is behind Boko Haram, just as I do not subscribe to the allegation that it is the opposition. Though the politicians have to a large extent cashed upon this unfortunate situation to blackmail each other. Boko Haram is purely a religious sect with a dangerous ambition of over running our secular state and entrenching a radical Islamist state. With a model initially built after the Taliban in Afghanistan, they have become a franchise of the global al Qaeda brand. Their bloody mission and vision, objectives and plans are by no means noble in a civilised world where freedom of life, religion and worship are core to human existence.